How long do you leave your tree up….? The season of Christmas is often said to be twelve days long, and ends for most people on “Old Christmas Day,” January 6th. This date is liturgically the Feast of the Epiphany and signals the beginning of the third part of the church’s Christmas season (Advent, Christmas proper and Epiphany). The comparatively recent name “Old Christmas” stems from the 1752 reorganization of the calendar when twelve days were dropped from the calendar; the following year, purists said that the “real” Christmas Day was not on December 25th, but January 6th, 365 days after the previous Christmas. 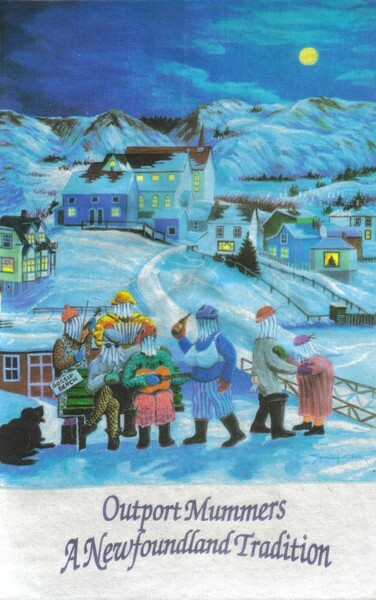 The knowledge of the Old Style has led some Newfoundlanders to name “Old Old Christmas Day” (January 18th) as the “real” end of the season. Indeed mummering can sometimes be seen on the Southern Shore of the Avalon peninsula until the end of January. ← Did you enjoy all that turkey and ham?? ?